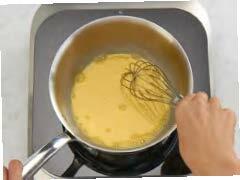 Place yolks and water in a Saucier Pan (24cm/3.8L). 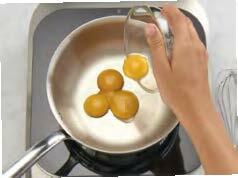 Place pan on the Multi Cooker. Insert probe. Select THERMOMETER. Select PAN CONTROL. Set pan temperature to 75°c. Select intensity SLOW. 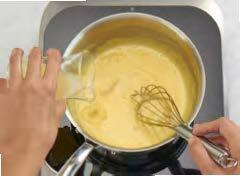 Whisk the egg yolk mixture continuously for 1-2 minutes or until it begins to thicken, making sure your sabayon when checked with the probe, the temperature does not exceed 75°C. 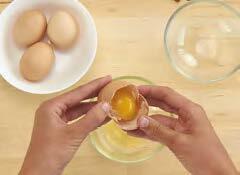 If your egg begin to scramble then you have taken it to far. 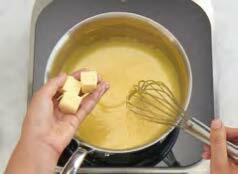 Working quickly and whisking continuously, gradually add the butter 2-3 pieces at a time until combined. 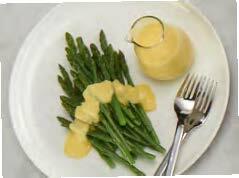 Cook for a further 6-7 minutes or until Hollandaise has thickened. Stir in the lemon juice; season to taste with sea salt and white or cayenne pepper. Remove pan from the Multi Cooker, cover with foil to keep warm. Alternatively, reduce pan temperature to 50°c. Select intensity SLOW. Keep warm, stir occasionally, until required. 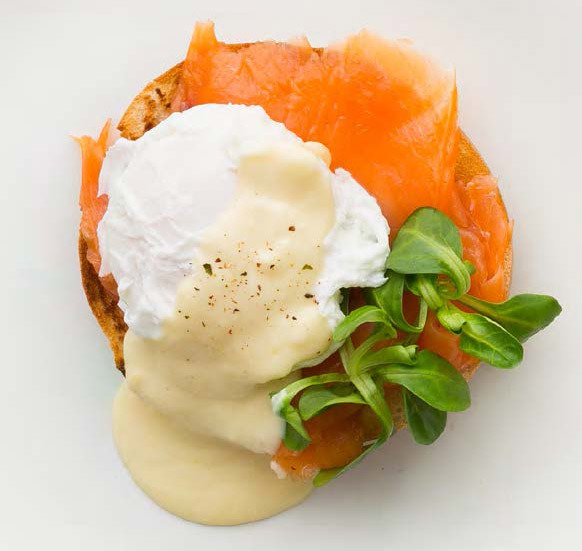 Serve with poached eggs on toasted muffins, sautéed spinach and smoked salmon.